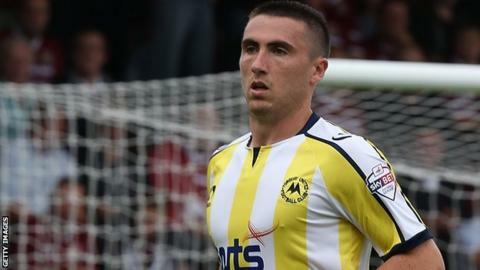 Derby County have released five players, including striker Callum Ball, just before their contracts with the club were due to expire. Goalkeeper Ross Atkins, 24, and defenders James O'Connor, 29, Valentin Gjokaj, 20, and Michael Hoganson, 20, have also been told they will not be offered new deals in the summer. The quintet have been released early to allow them to find new clubs. Ball, 21, scored three times in 31 appearances for the Rams. He also played first-team football while on loan with Coventry City, Torquay United and, most recently, Notts County.